Huawei Grid Hybrid Power Solution is applicable in areas with poor-grid, including Advanced Fast Charging Series - G2, Enhanced Fast Charging Series - G3 and Standard Fast Charging Series - G4. It adopts GridMax technology, which maximally uses the grid to reduce EPS-D operation, or even to remove it entirely. GridMax technology realizes fast charging (energy storage full charging time < 2h), maximally using grid, and reducing EPS-D running time (even to zero). Advanced Fast Charging, Enhanced Fast Charging and Standard Fast Charging series for choice, best matching scenarios and satisfying customer need. Saving footprint up to 90% compared with traditional solution, easy deployment and enhances reliability. Single platform, modular design, support smooth expansion and save customer future investment. 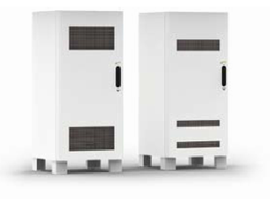 Huawei Grid Hybrid Power Solution is widely used in countries such as Pakistan, Burundi, Nigeria and Zambia, providing efficient stable energy for carriers like CMPak、Ufone、U-COM、MTN、GLO.